Dorothy A. 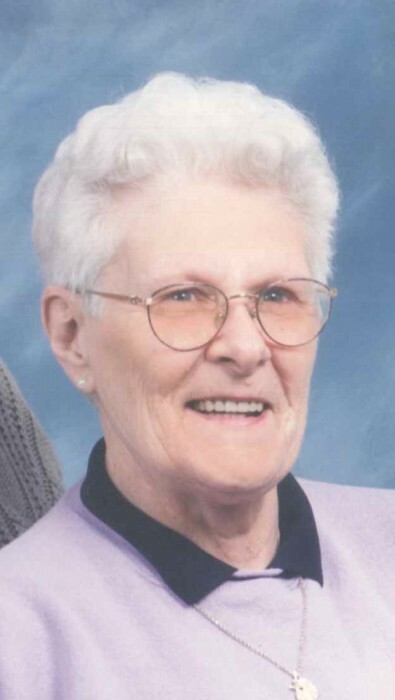 “Dottie” Weston, 89, a long-time Sylvania resident, passed away at home, Monday, April 15, 2019, while under hospice care. She was born in Boston, MA, November 30, 1929. Dottie was employed with the Sylvania City Schools as a Bus Driver for more than 25 years. She loved the kids and they loved her, many remaining friends long after leaving school. Dottie was an avid bingo player and enjoyed camping and fishing with her late husband. She was a long and active member of the St. Joseph Catholic Church, Sylvania, where she willingly donated her time to many events. Dottie was a former member of the Joseph W. Diehn Post 486 of the American Legion. She is survived by her loving daughter Maryanne Weston; grandchildren Jackie (Sean) McCartan, Brooke-Lynn (John) Fonseca, April (Paul) Glonek, and Ryan McCartan; great-grandchildren Johnny, Dominic, Cambria, Kendall, Payton, Mason, Dillon and Emily. Dottie was preceded in death by her loving husband Jack Weston. The Funeral Mass will be conducted at the St. Joseph Catholic Church, Sylvania, Monday April 22nd at 10 AM, where family and friends are invited to gather one-hour prior. Dottie will be laid to rest beside Jack at St. Joseph Cemetery, Sylvania. Those wishing to offer memorials in Dottie’s memory in lieu of flowers are asked to consider Memory Lane Care Services, 2500 N. Reynolds Rd, Toledo, OH, 43615, or the Hospice of Northwest Ohio. Dottie made this world a better place, she touched many lives and will be missed.